The stock slipped 15% to Rs 382, falling 49% against its issue price of Rs 750 per share on the BSE. 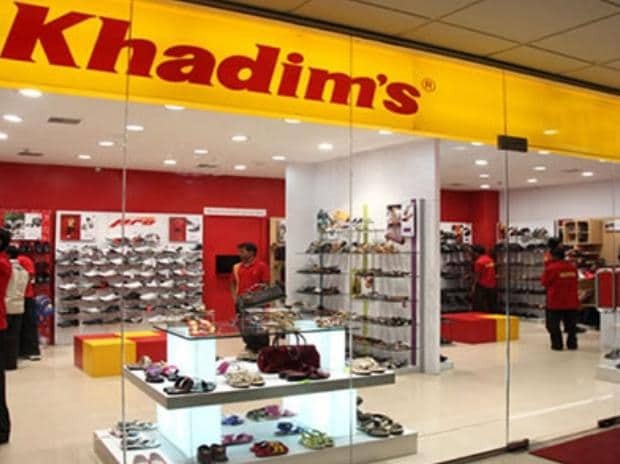 Shares of Khadim India hit a new low of Rs 382 apiece, down 15 per cent on the BSE in intra-day trade on Friday, after the footwear company reported a weak set of numbers for the quarter ended December 2018 (Q3FY19). The stock was trading at its lowest level since its listing on November 14, 2017. It plunged 49 per cent from its issue price of Rs 750. The company engaged in footwear and accessories business has posted a 55 per cent decline in net profit at Rs 3.97 crore in Q3FY19, due to lower revenue. It had a profit of Rs 8.87 crore during the corresponding quarter of previous fiscal. Operational revenue during the quarter under review was down 13.7 per cent at Rs 176 crore against Rs 205 crore in the previous year quarter. The drop in sales has mainly been on account of drop in footfalls. EBITDA (earnings before interest, taxation, depreciation and amortisation) margin contracted 280 bps to 6.95 per cent from 9.75 per cent. Footfall drop has been sharper on North Eastern region of India. One of the key reasons, as per the Khadim management, for the slowdown in footfalls during 1HFY19, has been increasingly aggressive ad spends by its peers (mainly Bata India). Peer is trying to reposition its brands and drive a perception among its customers as more of a youthful brand. Management believes that curiosity might be driving the footfalls at its peer stores. However, the company doesn’t want to work on hunches and hence has appointed Nielson to be on ground and understand the reasons for a drop in footfalls. Nielson study will be ready by February 15th and based on the conclusions from the study, the company will prepare a detailed strategy plan for next financial year, analysts at Elara Capital said in December 2018 report. Khadim India manufactures and retails footwear under its flagship brand ‘Khadim’s’ and nine other home-grown brands. It is the largest footwear player in east India and one of the top three in south India. Apart from Khadim’s brand, the company has nine sub-brands British Walker, Lazard, Turk, Pro, Sharon, Cleo, Softouch, Adrianna and Bonnite. Around 90 per cent of Khadim’s retail business needs are outsourced while the company sells its in-house manufactured products through its distribution model. The distribution-based model is price sensitive and hence remain less margin lucrative as compared to the retail-led model. At 12:43 pm; Khadim India was trading 14 per cent lower at Rs 387 on the BSE. In comparison, the S&P BSE Sensex was down 0.74 per cent at 36,696 points. A combined 74,241 equity shares changed hands on the counter on the BSE and NSE so far.